President’s Remarks – September 2018 | F.F.A.M. I again had the opportunity to be at the State Fair Fire Department during the state fair and seeing many old friends and the opportunity to visit with a few of our legislators. It is always encouraging to see so many firefighters and EMS personnel from all over the state come together to serve the fairgoers. 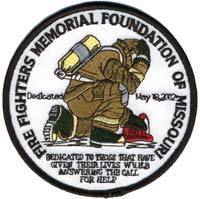 My personal thanks go out to each of you for your professionalism, commitment and faithfulness to FFAM. This was another good fair, the weather provided a few storms. Again, this year there were several new firefighter and EMS personnel. Great job everyone. Congratulations to the personnel receiving awards. These will be identified in another article by our Public Information Officer, Battalion Chief Larry Eggen. As president of the FFAM, I want to thank each director and assistant director that came to the fair to work and give of their time and talents, or to just visit and encourage everyone. I appreciate Fire Marshal Tim Bean for being present many days and for having many his staff there working and teaching fire prevention. Governor Mike Parsons made a special stop by the fire station on Monday to thank the fire/EMS personnel for all they do. He is committed to the fire service and has vowed to help us in any way. Thank you, Governor Parsons. We were honored on Legislators Day with a visit from Lieutenant Governor Mike Kehoe and other legislators. 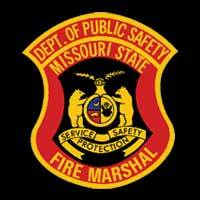 All of them promised to support the fire service of Missouri. Thank you. 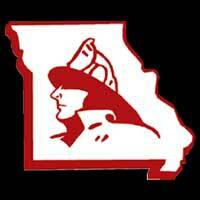 I want to thank Chairperson Monty Thompson for his leadership to the FFAM State Fair Fire Department Committee. Monty always does an excellent job. His many years of service to the state fair are invaluable, also to Steve Gentry, Rick Dozier and RB Brown for all of their hours preparing and serving as commissioners. Some days it is a thankless job, but I know each one of them enjoy serving. Chief Donnie Rogers also did an excellent job this year with his command staff and personnel, as did Chef Joyce Thompson and Chef Angie Fields, with their kitchen staff and duty personnel. 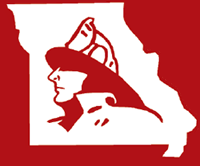 Terry Plumb has been asked to serve as the fire chief for the 2019 fair and has accepted. The list just goes on and on, so I am just going to thank each one of you that served in any way. We could not provide this vital service without each of you. Thanks for volunteering your time and talents. Many fall activities are approaching concerning the fire service and I would like to remind everyone of the assistance that FFAM can provide. FFAM Director RB Brown of the Eureka and Union Fire Protection Districts heads up our Fire Prevention Committee and is available to assist you with ideas or any other issues you may encounter as Fire Prevention Week is quickly approaching. RB will talk about his poster contest in another article. We have had no line of duty deaths this year so please be careful everyone. We all need to go home at the end of the day! I will always remember this day, as we again approach September, let us never forget that horrible day of September 11, 2001. Today, I say a special prayer for each firefighter, police officer and EMS personnel throughout our country. I ask each of you to please do the same. 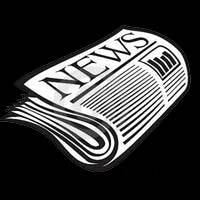 I will keep my article short this issue as I have asked several others to write, informing you of their activities and success these past few months. As always, please contact me with any thoughts or issues you may have.